One welcome trend of recent years in my field is the wave of new translations that finally make available to English-language readers the history of Marxist and anarchist culture in modern Japan. With a few notable exceptions, Japan’s long and remarkable traditions of proletarian literature, leftist cultural activism, and Marxist philosophy were largely ignored by Japan Studies specialists. In part, this was a matter of scholars and translators’ personal preferences. But it was also a structural bias: as a Cold War form, Japan Studies arose as part of an ideological campaign to situate Japan as a poster-boy for successful modernization without revolution. The ‘Japan’ that this discourse created as its object was inherently adverse to Marxism, and any Japanese writer who partook of it was by definition inauthentic. This tendency generated a distorted canon of modern Japanese literature and thought that is only now being rectified. 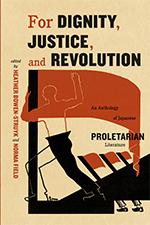 One of the most important new publications is For Dignity, Justice, and Revolution: An Anthology of Japanese Proletarian Literature (University of Chicago Press, 2015), a remarkably ambitious anthology edited by Norma Field and Heather Bowen-Struyk. It includes a wide range of pieces, including fiction, essays, and children’s literature. Combined with Zeljko Cipris’s recent translations of Kuroshima Denji, Kobayashi Takiji and others, the sampling of Japanese proletarian literature available in English has expanded enormously. On top of that, the past several years have brought new English-language versions of the work of a number of Marxist literary and social theorists. Tosaka Jun: A Critical Reader (Cornell East Asia Series, 2013), edited by Ken C. Kawashima, Fabian Schaefer, and Robert Stolz, includes a number of essays and excerpts from one of the most interesting Marxist theorists active anywhere in the first half of the twentieth century. 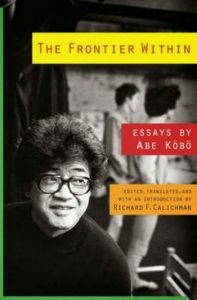 Abe Kobo has long been familiar to Western readers as a writer of surreal existentialist fiction, but his career as a cultural theorist for the Japan Communist Party has always been underplayed–until now, with the publication of The Frontier Within: Essays by Abe Kōbō (Columbia University Press, 2013), edited and translated by Richard F. Calichman. More translations are in the pipeline, too: a collection of essays from the early postwar “Politics and Literature” debate should be out from Lexington Books next year, while other scholars are working on new translations of seminal theorist Uno Kozo. I’ve made my own modest contributions to this new tendency: my translation of Karatani Kojin’s The Structure of World History: From Modes of Production to Modes of Exchange (Duke University Press, 2014) presented the author’s most ambitious attempt to rethink Marxist theory in tandem with anarchism (more English translations of Karatani’s works are also forthcoming), and I tried my hand at one of Kuroshima Denji’s early proletarian literature short stories. The way we in the Anglophone world study Japanese literature is changing and as a result the object of our studies is acquiring new layers and angles. The exotic and apolitical Japanese literature generated during the Cold War is being supplemented with something new that is actually something old. And this something old may well end up contributing something else that is new, as we struggle around the globe to figure out what comes after the failed doctrine of neo-liberalism. Another brand new title to add to this list: Samuel Perry’s translations of Sata Ineko’s proletarian literature writings have just been published as Five Faces of Japanese Feminism: Crimson and Other Works (University of Hawaii Press, 2016).